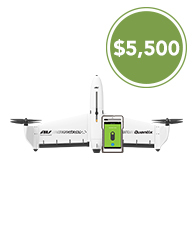 The Quantix Professional Package provides a turnkey "Franchise-in-a-box" drone & data analytics solution with everything an Ag Solutions Provider needs to start scouting fields and building a business. Maximize your return on every acre with a low montly subscription to AV DSS and a per acre image processing fee. Ground Shipping is the only method of delivery at this time. 41" X 23" X 18"
1. How are Processed Acres Calculated? Calculated by Data/Acreage uploaded into AV DSS. Applies to full resolution and QuickShot data collects. 2. When will I get billed for my AV DSS Monthly Subscription? User credit cards are charged at the end of each calendar month for monthly AV DSS subscription and Acres Processed. Subscription automatically renews at the beginning of subsequent calendar month. Subscription term is a minimum of three years, then continues in perpetuity unless the user cancels or switches to another AV DSS subscription plan. 3. Can I cancel my Subscription: You have the ability to cancel at any time, however an active AV DSS subscription is required to use Quantix. 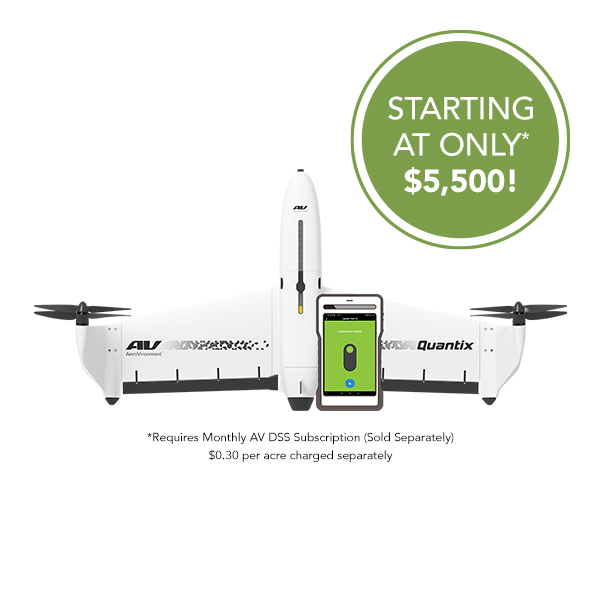 If you choose to cancel and wish to continue to use your Quantix, you will incur a one-time $3,000 subscription cancellation fee. 5. Can I add an additional client users to my account? Yes, Additional Client Users can be added at no charge.